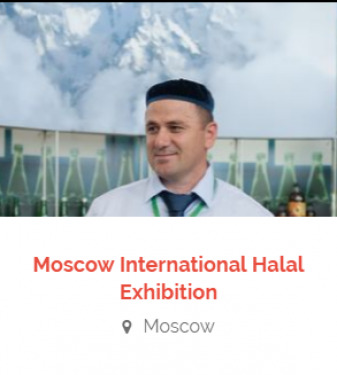 Moscow Halal Expo 2016, bringing together the companies whose products and services conform to halal quality standards. The exhibitors will present halal products and services; the concepts of multi-brand stands, sectors and shops; IT projects and state-of-the-art developments; investment and start-up projects.The objective of the exhibition is to promote the brands of local producers of halal goods and services, to attract funds to domestic halal sector, to increase the share of high-quality and environmentally friendly products in the Russian economy, and to implement the import and export phase-out program.The Moscow Halal Expo sectors cover almost all spheres of economy. In particular, the exhibition brings together companies operating in the food sector and healthcare, fashion and beauty, tourism and hospitality, wholesale and retail trade, information technologies, finance and investment, consumer goods. Industrial forums and expert round-tables, culinary shows, the “Halal product of the Year” tasting contest and award ceremonies for the best companies in complying with halal standards also take place within the scope of the exhibition. The exhibition embraces in B2B and B2C formats.